Rarely do successful, all inclusive complexes like this come to market. 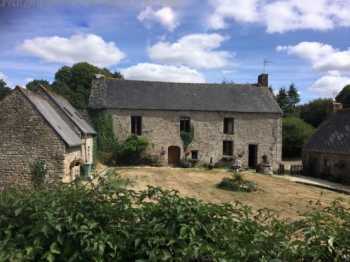 With four rental cottages, and the beautiful 16th Century manoir which accomodates the owners and has the delightful restaurant with impressive granite fireplace and a professional kitchen, disabled w.c. facilities and office on the ground floor. There is also; games room with table football, sofas etc.., situated next to the partially shaded and heated 10X5m swimming pool area, plus a croquet lawn, gymnasium and a laundry room, all your guests needs are catered for within these private and beautiful grounds. The manor house provides an attractive owners apartment measuring approx 18m x 7m on the top floor, overlooking the grounds which have mature fruit and nut trees, grape vines and well thought out seasonal planting. With dual aspect living / dining room, a 9m2 kitchen with space for a small table, a family bathroom two double bedrooms one with ensuite facilities. There is also a possibility to extend into the roof space if so required. Also, for the proprietors convenience, there is a tool shed, garage, store room and stables. The four granite stone rental cottages have been sympathetically renovated to retain the character, and for practicality each has wifi, sky TV and a dishwasher. Three of the gites have 2 bedrooms and woodburners and there is one gite with 3 bedrooms. All gites have their own private BBQ areas and sun gardens. Not only is this a stunning setting, but there is also permission for six caravans if you wish to add to the complex and or camping a la ferme. Currently operating for 30 weeks of the year but potential to be open through all seasons please contact me for full account details and further photo's.